BillBuysHouses.com Need To Sell Your House Fast? We Buy Houses! 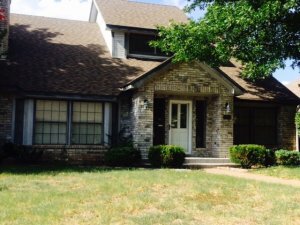 Ready To Sell Your Dallas House? Bill is Ready To Buy! Bill Buys DFW Houses Fast. He Has The Funds Ready So You Don’t Have To Wait On A Financing Decision. Our crews are standing by ready to fix, remodel, and clean anything that needs attention. No matter what condition your house is in, he’ll give you a fair offer to buy it. Bill describes his process more here. You won’t be charged fees or commissions. And Bill can close next week. Imagine walking out of closing next week with your house sold and a check in your hand. He knows that sounds amazing, but it happens all the time. It doesn’t matter to Bill if you’re living in the house, you’re renting it out, or it’s just vacant. He can help homeowners who are facing these types of frustrating problems. Bill will listen to you when you call him. He understands that your individual circumstances may be different than others. And that’s OK. He will still work with you. Basically if you have a property that you need to sell, he’d like to give you a fair cash offer for it. Then you can choose the closing date that works for you. That means you could walk away from closing next week with cash in your pocket. How To Sell My House Fast In Dallas, Texas? Sell your home to me. No hassles, No fees, No waiting. You can sell your house 2 ways: Slow or Fast. Listing your house with a real estate sales agent is a slow way to get your house sold. Why? Because agents cannot guarantee that they will find a buyer quickly. They can only make promises and hope for the best. The Fastest Way To Sell Your DFW House Is To Sell It Directly To Me…Now. You’ll discover that Bill works differently. When you call me or submit the short form (below), he’ll quickly give you a fair all-cash offer on your house. And remember it does not matter what condition your house is in because Bill will not ask you to do any repairs. He has a team that does that. If you have tenants in the property, he will take care of that for you too. You don’t have to worry about that any longer. Our goal is to make selling your house as easy and low stress as possible. That’s why Bill pays cash and closes quickly. That’s why you’ll get a fair and honest offer within 24 hours. Six months from now he will want you to look back and be thankful that you called him because he made a big event in your life smooth and easy. Bill helps people who are in tough situations, such as death of a family member, foreclosure, divorce, difficult rental property, unaffordable repairs, and many others. He can help people by buying their Dallas property at a fair price and using all cash. Many people who call me are just too busy to prepare their property to be for sale on the market. If that sounds like you, then let us know and he will give you a fair all cash offer. 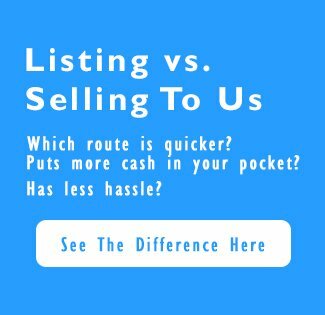 If you simply don’t want to put up with the hassle of owning that house any longer, and if you don’t want to put up with the hassle and time-consuming expense of selling your property the traditional way, let me know about the property you’d like to be rid of and sell your house fast for cash. Talk to someone in our office before submitting your property information by calling Bill today at (214) 880-8787. I was somewhat apprehensive about putting my home on the market because I didn’t want to deal with price haggling, too low offers, and all the inconveniences that come with selling a home. I phoned Mr. Bill Jackson and scheduled a same day appointment. He was prompt, professionals and presented an honest and fair offer before leaving my home. From the moment I signed the contract, up to the closing, the entire process went smooth. No hassles and I didn’t pay for any for anything! A pleasant experience thanks to Mr. Bill Jackson. Owner of BillBuysHouses.com, Bill Jackson, is a licensed Real Estate Broker in the State of Texas. Bill is a real estate solutions and investment firm that specializes in helping homeowners get rid of burdensome houses fast. He is an investor and problem solvers who can buy your house fast with a fair all cash offer.